When a loved one passes away, it can be difficult for even adults to understand, but children have no experience from which to draw upon, making the experience even more baffling for them. The amount of information that they are able to handle depends on many factors, including their age, maturity, and personality. Talking about death and dying is never easy. Typically, the adults who must tell a child about a recent death are themselves experiencing strong emotions, making the process even more difficult. Often, children will have questions, which should be encouraged and answered with compassion and honesty. If a death was the result of a long illness, the child may have been somewhat prepared for the news, but the finality of death is a concept that they will probably not fully comprehend until they have had first hand experience with a death of a family member. In cases of sudden death, the confusion is apt to me more marked as there was no time to become acclimated to the concept of such a loss. Hoping to spare their feelings, parents may be tempted to soften the news of a death by telling children that the deceased has “gone away” or use euphemisms such as “lost” or “sleeping.” While the intention is noble, these types of phrases may increase, rather than alleviate children’s fears, making them anxious at the thought of people leaving or of going to sleep. Children, especially those under the age of 5 or 6, typically think in very literal terms, so it is important that parents use clear language when speaking to children about death. If the deceased was very old or had been ill for some time, parents can explain that their bodies weren’t working and that although the doctors tried, they weren’t able to make them better. Cases of sudden or accidental death can be explained in a similar fashion, explaining that the injuries were too severe for the doctors to fix. Young Children: Children’s abilities to understand death increases as they mature, so conversations need to be individualised, depending on the age of the children involved. Preschool and younger school aged kids need only the most basic information and are often satisfied with very simple explanations. Even their questions are relatively straightforward and may be related to how the death will affect them. For example, a five year old may wonder who will make cookies for him if his recently deceased grandmother usually bakes them. One of the hardest concepts for young children to grasp is the idea that death is forever. Even after it has been talked about at length, young children may ask when they will get to see that person again. Older Kids: By the time that they are a bit older, kids begin to understand the finality of death, but may engage in “magical” thinking. For example, children may believe that if they wish hard enough, the people that they love will never die. Conversely, they may fear that if they misbehave or fail to do certain tasks, their loves ones will be at risk. Parents should reassure kids that their thoughts and actions have no bearing on the health and safety of those that they love. Teens: Most teenagers are able to understand death and realize that all living things will someday die. This deeper understanding of the causes and permanence of death may lead to some fear and anxiety, especially if they have experienced the loss of a peer. The death of an elderly relative seems normal, but when young people die, the concept of a teen’s own mortality becomes real. Often, teenagers are also beginning to explore their feelings about spirituality and their place in the world as a whole. Being forced to examine the idea that their time is limited can be a frightening concept, so parents should assure teens that although young people do sometimes die prematurely, it is not typical. 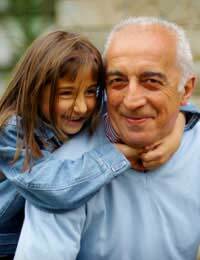 While death is permanent, kids (and the rest of us) can take some comfort in knowing that treasured memories will always keep the deceased person close by. Allowing children to talk about their feelings and share their memories can help them to grieve. Kids should never be forced to express emotions, but should be encouraged to share their feelings if they wish. Creating photo albums or memory books can help spark conversations as well as helping to reassure kids that their loved ones will always be a part of their lives, even many years later. While all parents hope to shield their children from life’s difficulties, that is not possible. Death is certain to touch the lives of everyone at some point, but parents can help their children to cope by providing them with honest answers to their questions and allowing them to express any feelings that news of the death may bring. It’s important to remember that everyone grieves in their own way, children included, and that the grieving process can take quite some time, especially if the child shared a special bond with the deceased.